ConceptDraw DIAGRAM enhanced with Flowcharts Solution from the "Diagrams" Area of ConceptDraw Solution is a easy flowchart program for drawing flow chart example illustrating the essence and importance of the technical flow chart use. This is classic flowchart maker, it follows the industry standards providing sets of flowchart symbols geathered by our team during a ten years into useful tool ConceptDraw Solution Park. ConceptDraw DIAGRAM is a Mac OS X and Windows software. Numerous vector stencils, samples and templates created by designers are included in the basic package. This software especially developed to simplify drawing any type of flowcharts. Flowcharts give users the ability to represent structural data visually. 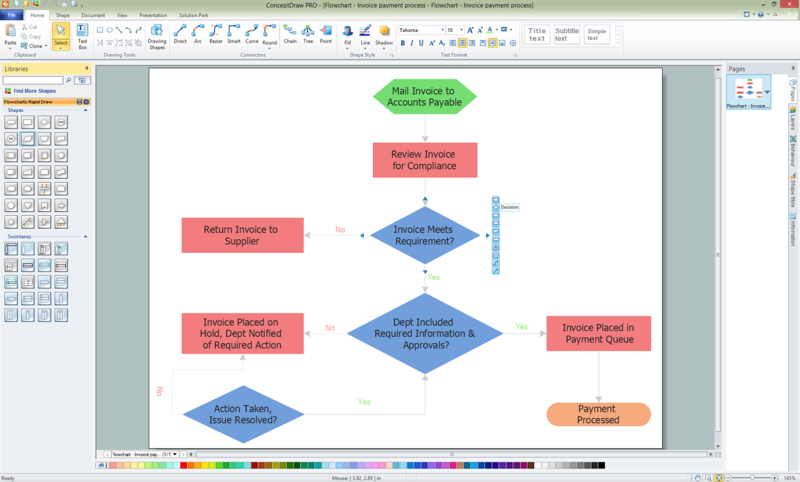 This flow chart example visualizes payment process. 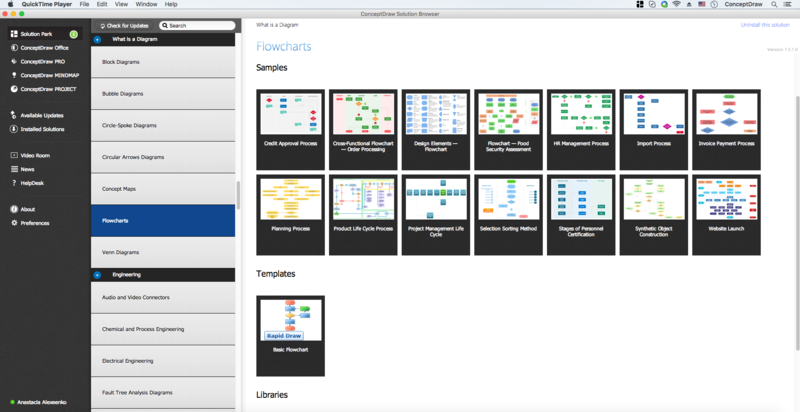 The base flowchart solution for ConceptDraw DIAGRAM has a large library of all common flowcharting symbols. Use flowchart maker of ConceptDraw DIAGRAM diagramming and business graphics software to draw your own business process flowcharts.